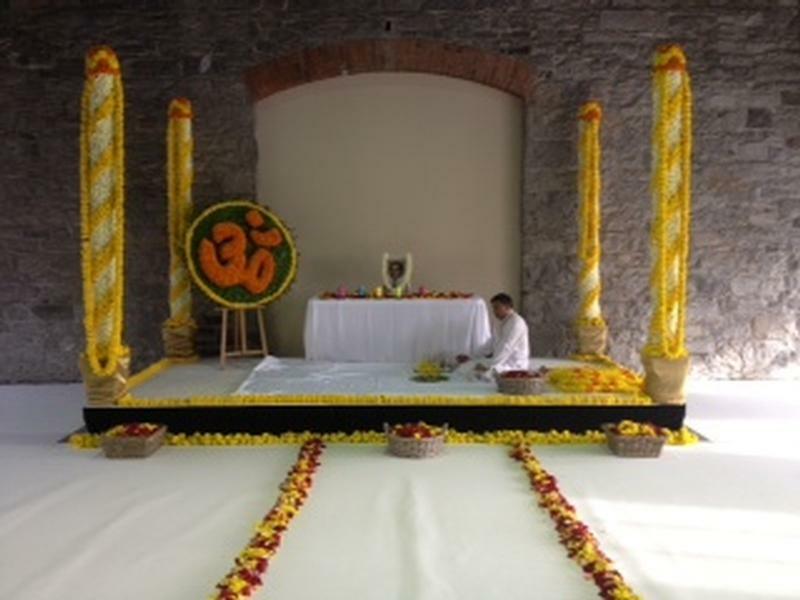 Over the years we have been able to create events and arrangements for a vast spectrum of cultures and religions. I still remember the fist time I heard the word chuppah and wondered what it meant. Fast forward 27 years and I’ve probably decorated over a hundred of them. I knew very little about the religion or funeral traditions but the more I spoke to the family and researched on google, I became fascinated with it. I found myself reading late into the night about how spiritual and peaceful a religion it is. 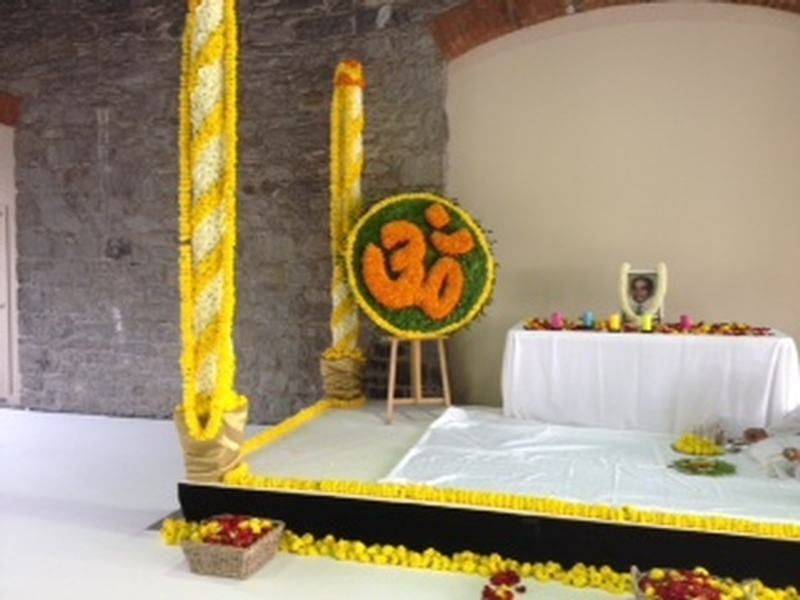 The family had decided to have the service in Old Montreal at Marche Bonsecours rather than in a Hindu temple, which seemed so fitting since the family has many ties to Old Montreal. This meant we had to create a “temple” look in a large empty space which both scared me and excited me at the same time. 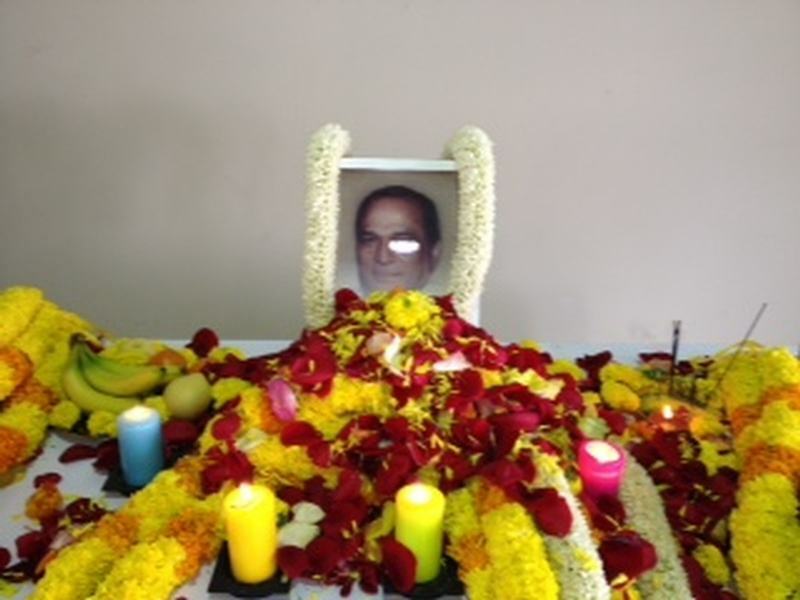 Ronnie, one of the sons was my “Hindu teacher” for the most part, and as he sat in my office 6 days before the event said we needed lots of flowers and if possible marigolds. Well that was my first challenge and I got right on it. 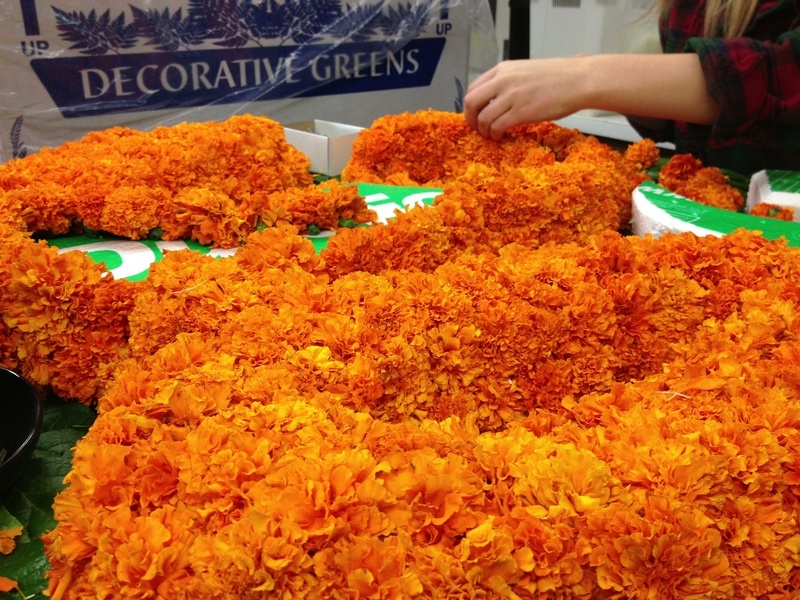 We called suppliers in Europe and South America and even called some Montreal Hindu temples, all of them said it was impossible at this time of the year to get marigolds. If you know me you know how much I hate that word “impossible”. 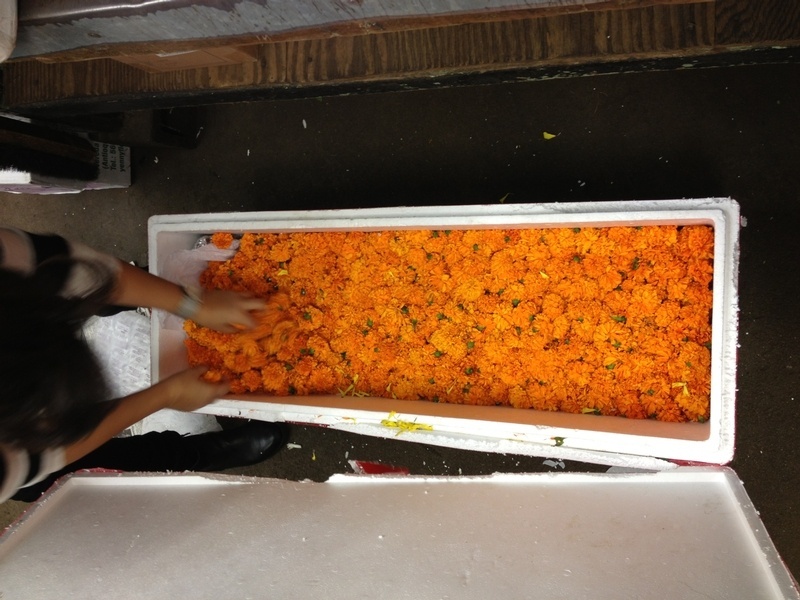 That night I sat at home and started to think there are millions of marigolds in India right now, so how can we get them to Montreal ???? 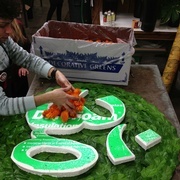 We had a window of only 4 days to get them in order to design the “stage”. 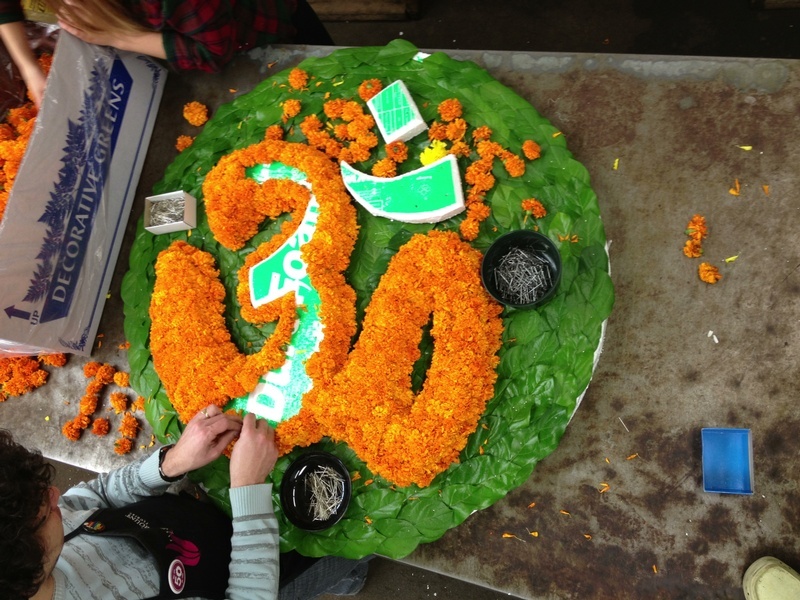 Success came when I discovered there is a huge Hindu community in Toronto and they fly in flowers every week. 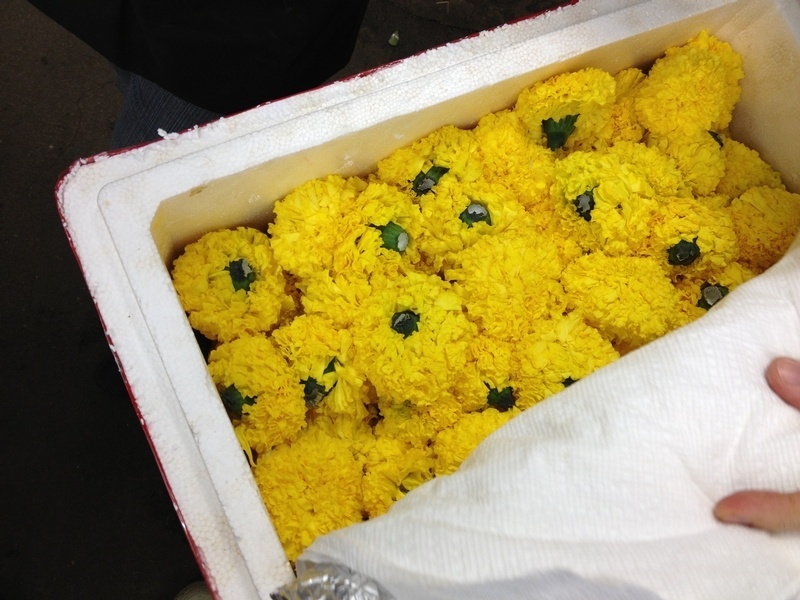 After making the connection, two days before the event over 50kg or marigolds arrived at our shop. 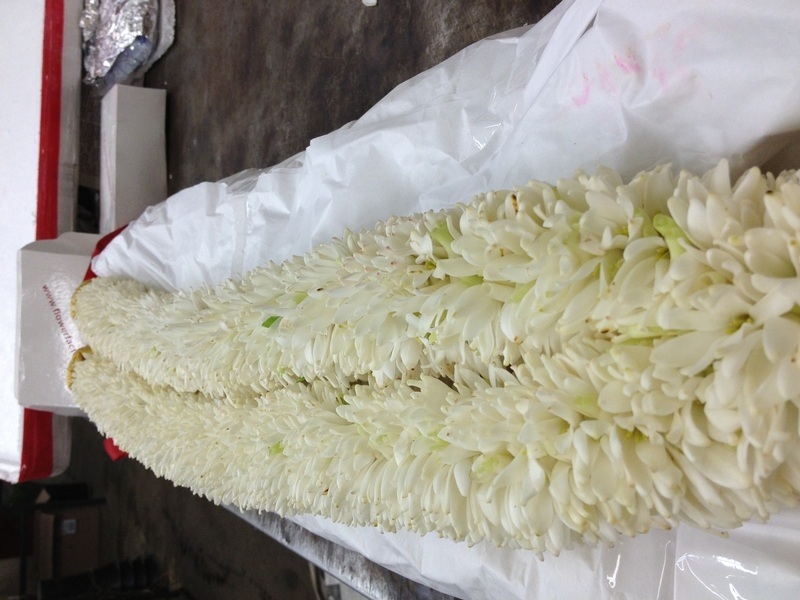 As we opened the ice packed Styrofoam crates our entire staff was gasping ……..they were gorgeous, fresh and smelt wonderful. 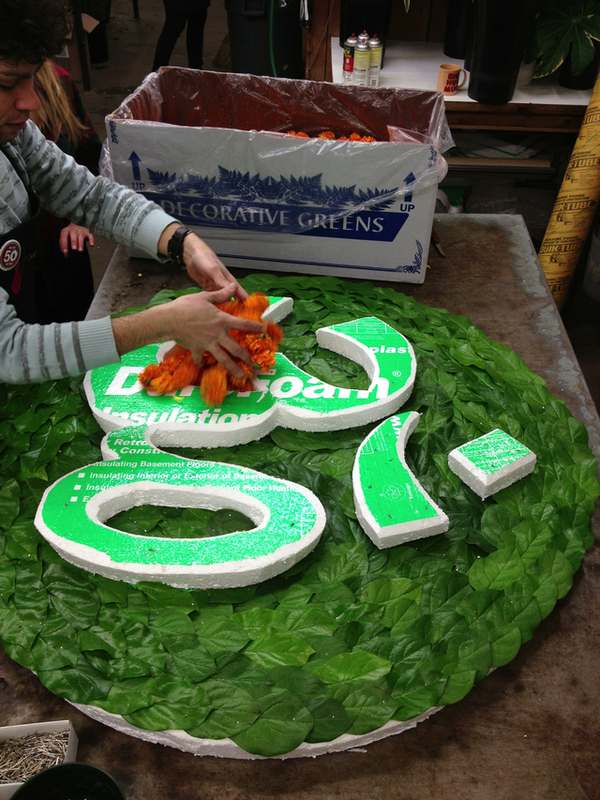 We quickly went to work and for two days created what the family had asked for. On a gorgeous sunny Sunday morning at 7:30 am our team was loading our truck with what was one of the most beautiful and symbolic arrangements we have ever done. On a personal note I have never attended a more spiritual and beautiful service. 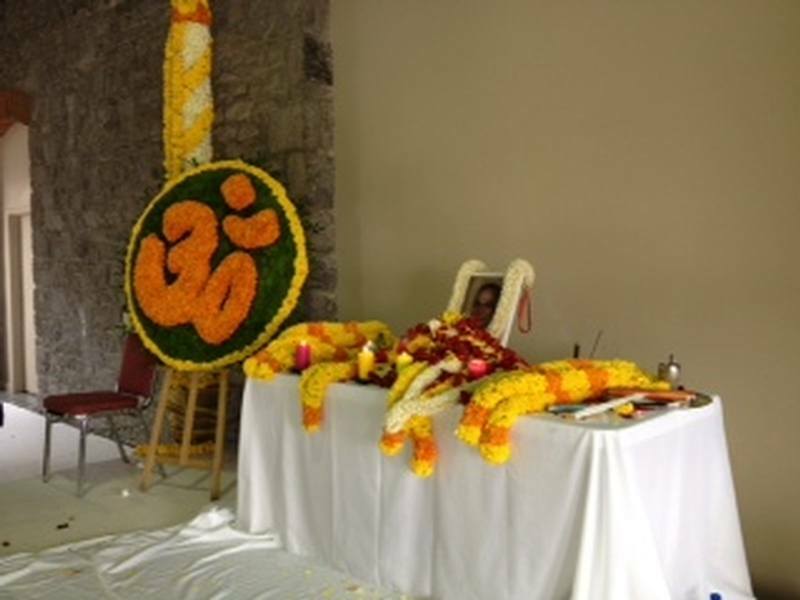 The Hindu prayers, chants and family “eulogies” were so touching and a true testament to a wonderful human being who had an amazing life and brought so much love and joy to everyone to knew him. 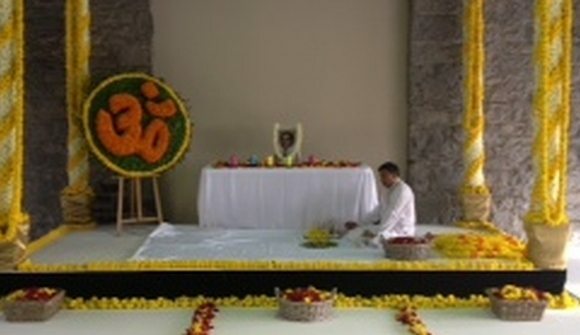 My only regret is that I don’t have any pictures of the entire family dressed in white with flowers garlands around their necks, sitting with the Pandit on a stage, surrounded by thousands of flowers, a beautiful photograph of a great man, trays of fruits, candles, water and rice along with many other traditional Hindu items. Thank you to the Khanna family for allowing us the pleasure of being a part of such an incredible event. And Mr. Khanna, may you rest in peace. It was such a pleasure to be a small piece of your life.